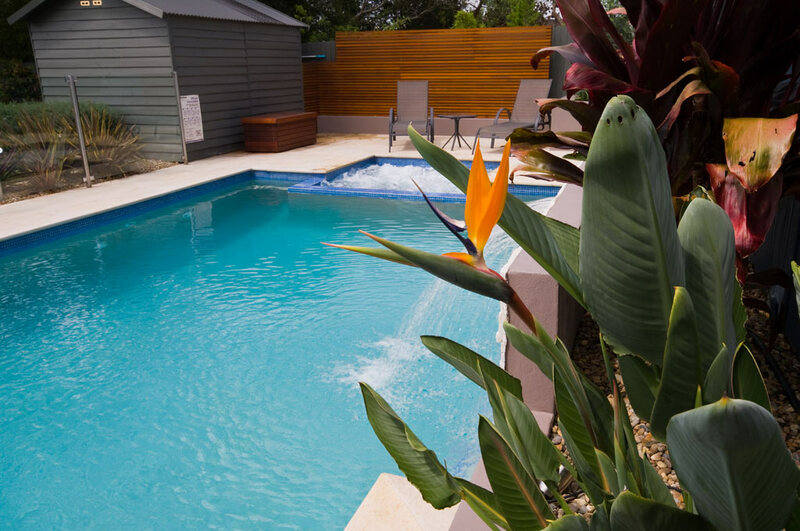 With clean lines and low maintenance, this attractive saltwater pool and spa combination is ideal for relaxing, exercising and family play. 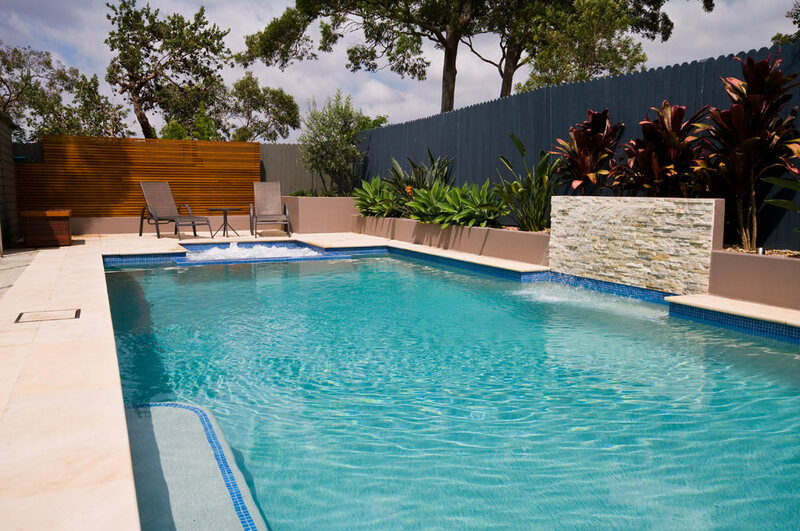 The pool features a fully heated spa with blue glass mosaic tiling and spill-over, stacker stone water feature and a sitting ledge. 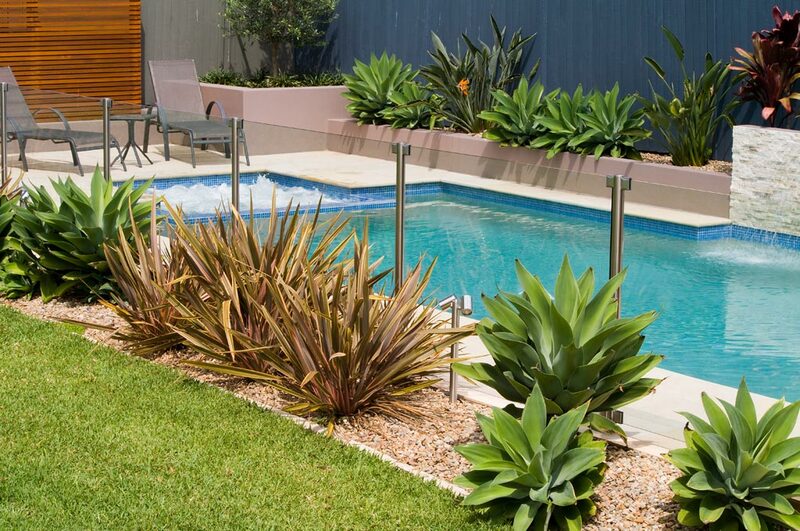 Both safety and style are assured with semi-frameless glass fencing, chrome posts and an automatically closing gate. 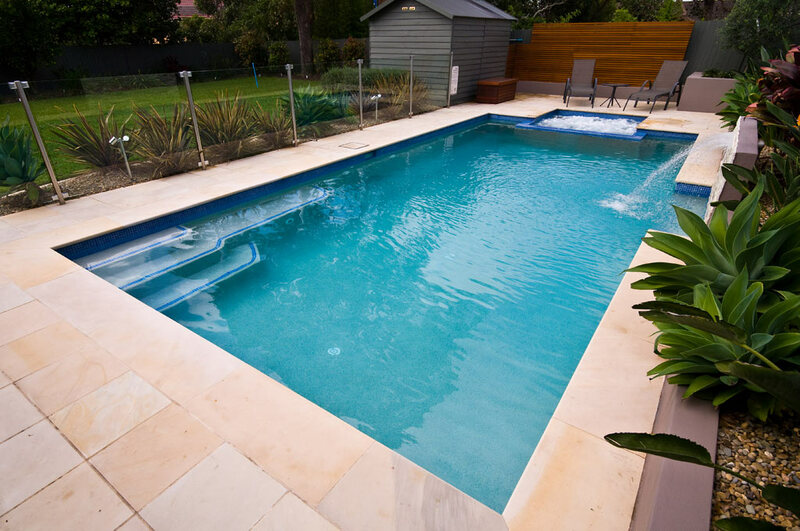 Glass waterline tiles highlight the pool’s geometric shape and complement the step treads. 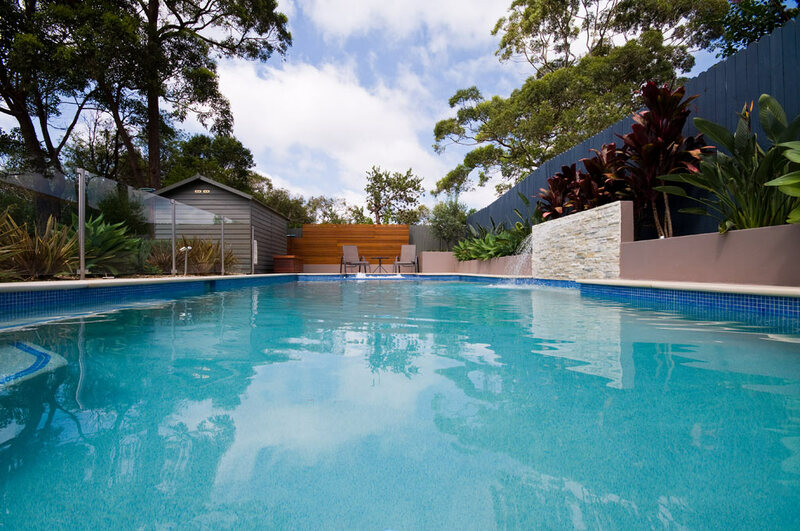 Maintenance is easy, with an automatic saltwater chlorinator and pool filter. 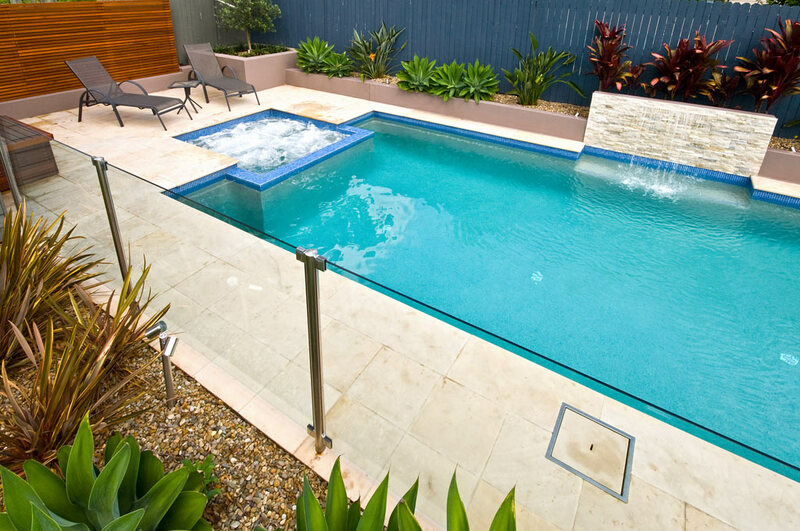 Perfectly positioned in the corner of the garden, this pool fits neatly between fencing and a pre-existing garden shed. 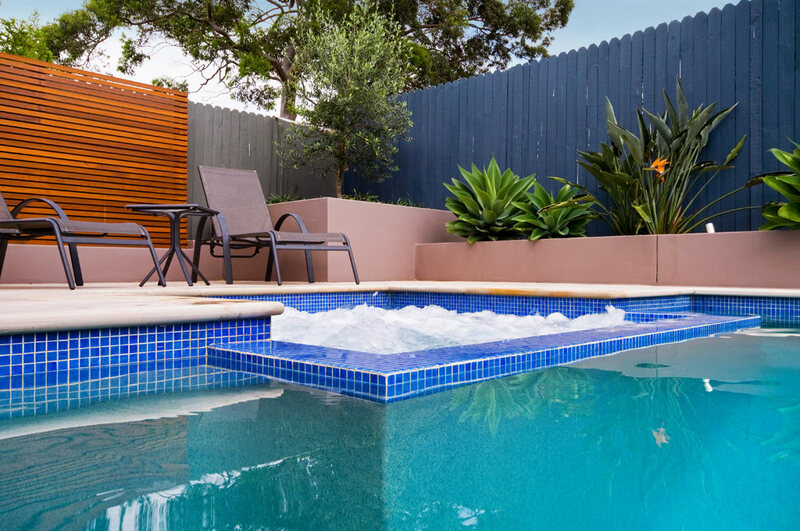 Tight-access machinery was used to overcome construction challenges which included limited access and close positioning to boundaries. 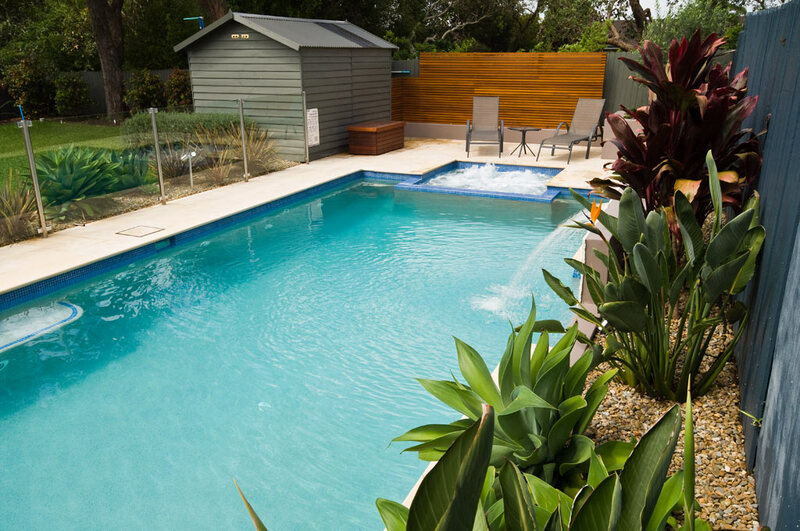 Landscaping is minimal, with integrated planter boxes, sandstone surroundings and a timber feature wall adding contrast and visual appeal.